We receive several calls each week from customers who are experiencing issues with their taps. There is nothing more annoying than a dripping tap or a tap that just trickles. In this blog, we cover a few common complaints and solutions. 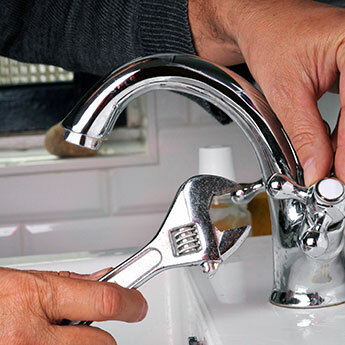 If you have separate hot and cold taps, then the most common reason is that there is a faulty seal or washer. You can take the tap off and take the washer to a plumbing shop to buy a replacement. If you have a mixer tap, the leak is often with the cartridge inside the tap. If you take the cartridge to a plumber’s merchant, they can find an exact replacement. There are several reasons for low pressure. Firstly, check the stopcock is fully open. Is it Winter? Could your pipes have become frozen? Frozen pipes are particularly likely to appear in the loft or basement. Check for signs and or damage. To thaw pipes, pour warm water over them. It is worth lagging your pipes to help protect them. Are you running multiple taps at the same time? Check by running just one water source at a time. Could there be an airlock? in which case its best to call out a qualified plumber. If your tap has suddenly started to just trickle water, even when turned fully on, there are a few possibilities it could be. The washer may be clogged with limescale, which is stopping the water from flowing. It could be an airlock in the pipes, in the first instance to try and release the airlock, try running all your hot taps for a few minutes to see if it releases it. Often taps can get blocked with limescale, in order to clean it use a toothbrush and either a branded cleaning product or use lemon and vinegar to scrub the limescale off. Once you have cleaned it up, you could also use WD40 around the tap.